Google's no stranger to using web technologies to do cool, innovative things. In fact, some would say that over the last few years the company has pushed (or broken) the barriers of what a web browser is, and can be – just look at ChromeOS, for example. It's an entire OS based on the idea that you can live your digital life inside of a web browser. The thought itself is bold, but the execution could be game-changing as the OS grows and becomes more polished. Today, Google is further showing off what it can do with its Chrome browsers – both mobile and desktop – with a new game called "Super Sync Sports." 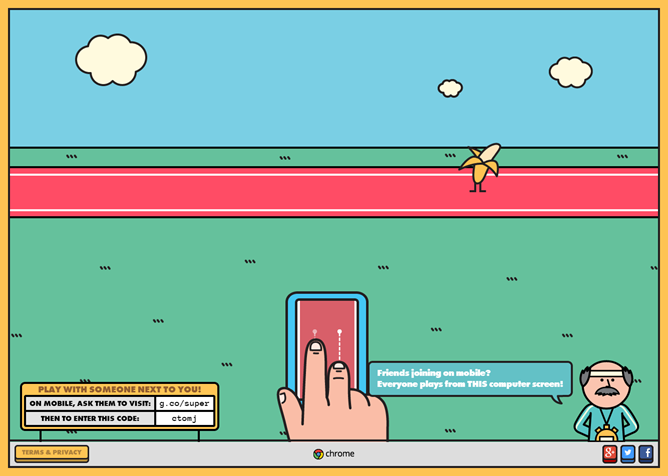 Essentially, it's a Chrome game that uses your mobile device as the game controller. As simple as it may be, though, it's actually quite brilliant. 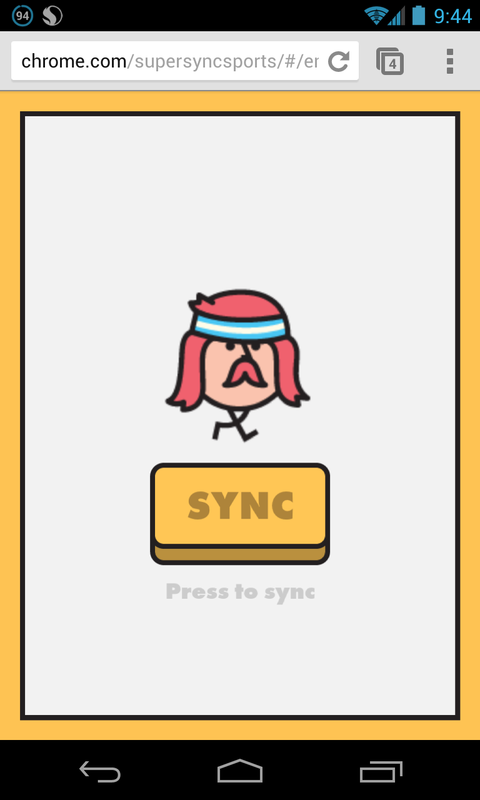 It's a very basic cartoon-type game where you select one of three categories – running, cycling, or swimming – to compete against three other characters, either computer-controller or multi-player. 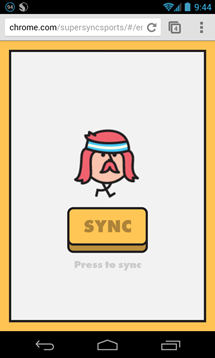 The game uses your phone to control said character – you just sync your mobile device to your PC by entering a short code provided by the game into g.co/super on your mobile. It really couldn't be easier. There are several interesting little avatars to choose from, including an eyeball with legs, a bird, a watermelon thing, a banana, and some other random objects. 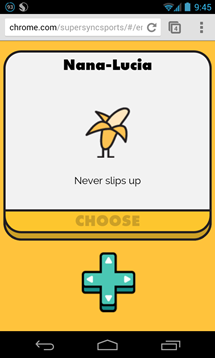 I chose the banana, because I like the idea of watching a banana play games. 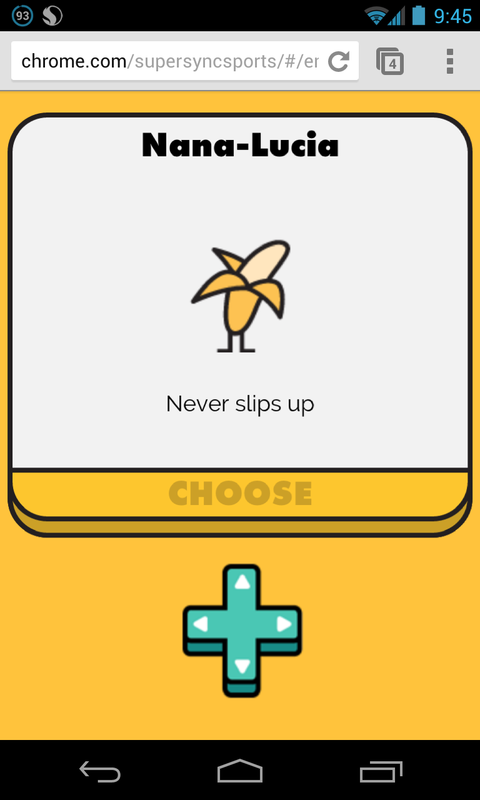 From there, each mini-game has different, extremely simple controls that must be executed on your phone or tablet. For example, you use your index and middle finger to perform a "running" action on your device's screen in the Run! Run! Run! game. Like I said, simple. But it's still fun. Of course, the game really isn't the point here. Like with most things Google does, it's about showing off something bigger. 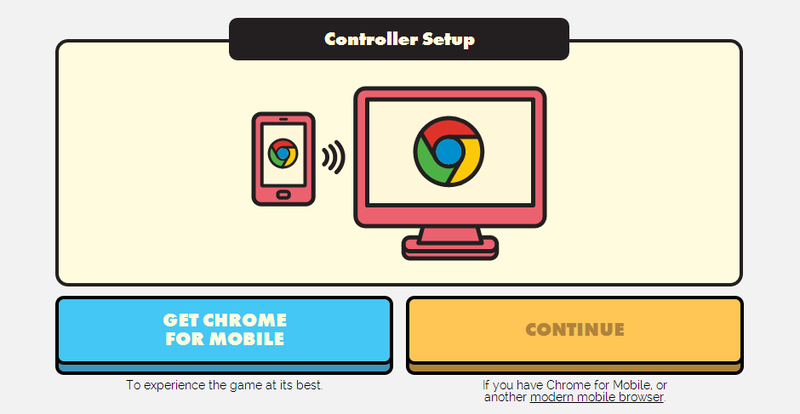 In this case, it's a quick sync from your computer to phone on the same network to use your mobile as a game controller. Moving forward, this could potentially change the landscape of browser- or even PC-based games. I'm not saying it will, only that it could. We've already seen a lot of cool things come from this same technology – like AirDroid for example – so it's not outlandish to imagine other, greater possibilities. 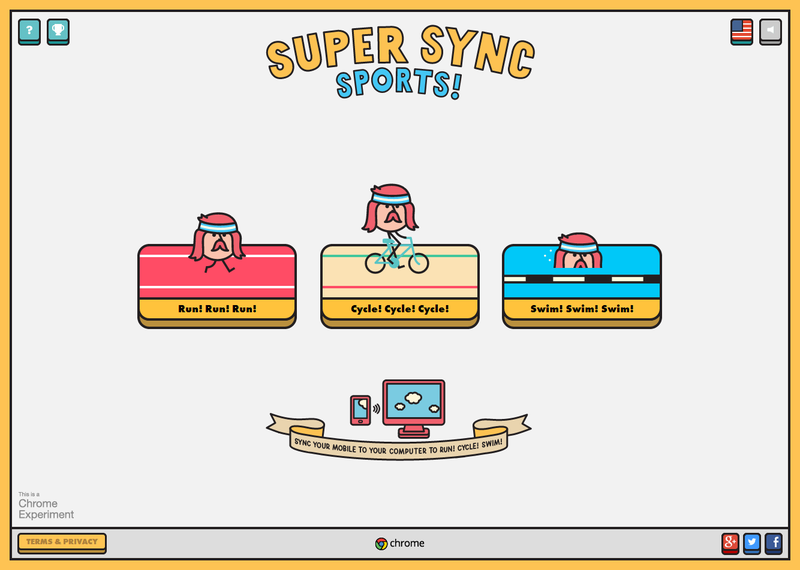 For now, though, Super Sync Sports is what we have, and it's a fun little time-waster. It's definitely worth checking out.